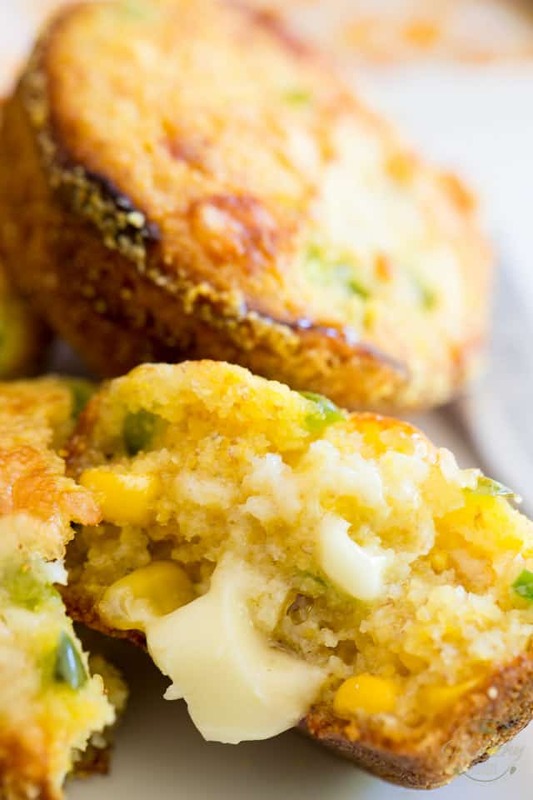 So tasty and delicious, moist and tender, you won’t believe how good for you these Jalapeno Cheddar Cornmeal Muffins actually are! 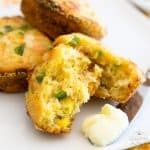 This Jalapeno Cheddar Cornmeal Muffins recipe, I totally and shamelessly stole from My Evil Twin! I know, how rude of me, right? 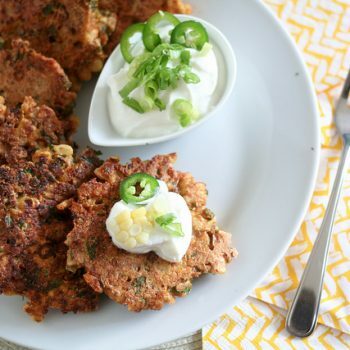 To be completely honest, I made 2 very tiny little changes to her recipe, where I used ghee instead butter and went with whole wheat flour instead of all purpose. Other than that, I pretty much stole the whole thing straight from her site, complete with wording and all! In fact, I came *this close* from stealing her pictures too, but then I thought that might be pushing it a little. Oh, I’m sure she wouldn’t have minded at all, but hey, I have my pride you know! Another small change that I made is I decided to make cute little cornmeal muffins instead of an actual cornbread like my wicked twin had done. Cuz you know just how much I like muffins, right? Right! Personally, I prefer the muffin version because you get so much more of that beautifully golden and crispy crust that way! But hey, if you’re more of a bread person, feel free to follow her baking instructions and do the bread instead. 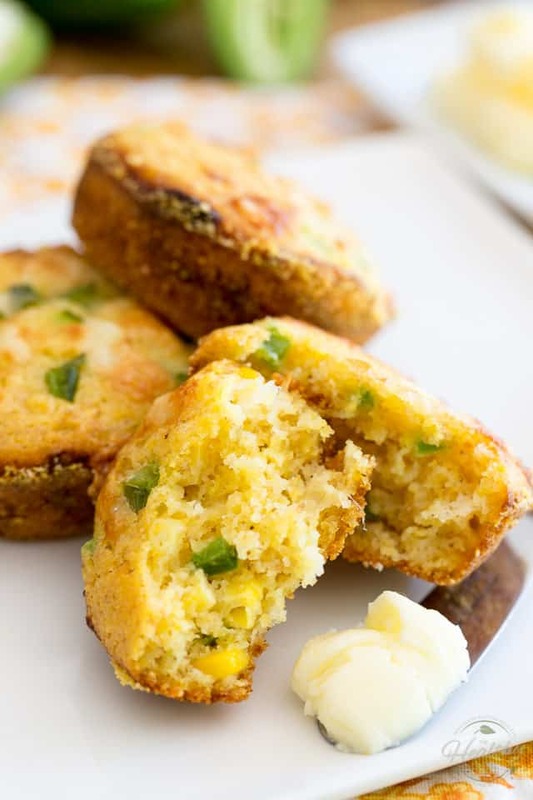 These Cornmeal Muffins they contain loads of corn, cheese, jalapeno peppers, buttermilk, eggs, a little bit of honey… all good things! 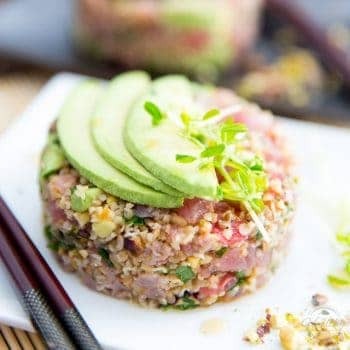 Plus, they are so tasty and delicious, you won’t believe how good for you they actually are! I’m not saying that you should eat half a dozen per day for the rest of your life, but one or two in the morning, alongside a couple of eggs, they’re bound to start your day right! Preheat your oven to 425°F and then grease (I used ghee to grease mine) and lightly coat two 12 cup muffin pans with corn meal. Set aside. 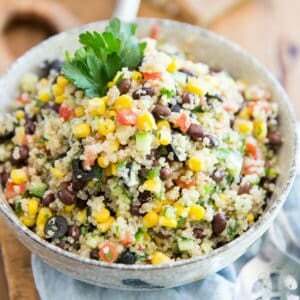 Now, it doesn’t matter whether you use fresh, canned or frozen corn kernels, just as long as you make sure that you drain that corn really well if necessary, so it’s all nice and dry when you add it to the flour mixture later. If you choose to go with frozen kernels, there’s no need to cook the corn first, really; just leave it in the fridge to thaw overnight (you could also rinse it under cold running water or throw it in the microwave for a few seconds to speed up the process) and then drain it well. In a separate bowl, whisk together the buttermilk, melted ghee (you could also use extra-virgin olive oil if you wanted to, although your cornmeal muffins wouldn’t taste quite as rich and buttery), honey, and eggs. 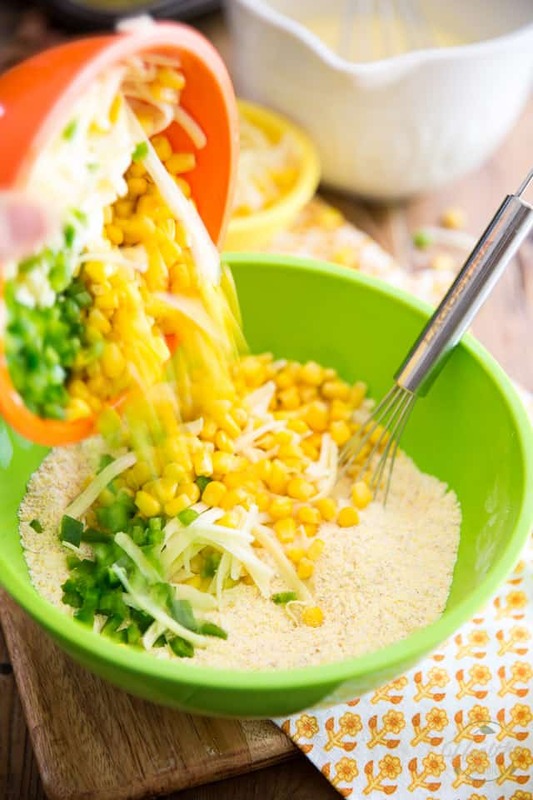 Next, combine the cornmeal, whole wheat flour, baking powder and salt in a large bowl, mix that super well with a whisk until fully combined, and then throw in the grated cheese, corn kernels and chopped jalapeno peppers. 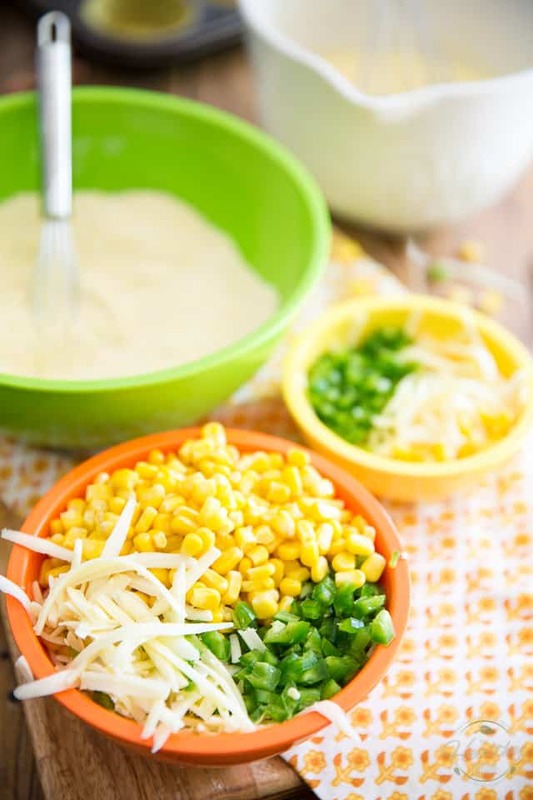 Mix until the cheese, corn and jalapenos are completely coated; this will help prevent them from sinking straight to the bottom of the muffins as they bake. 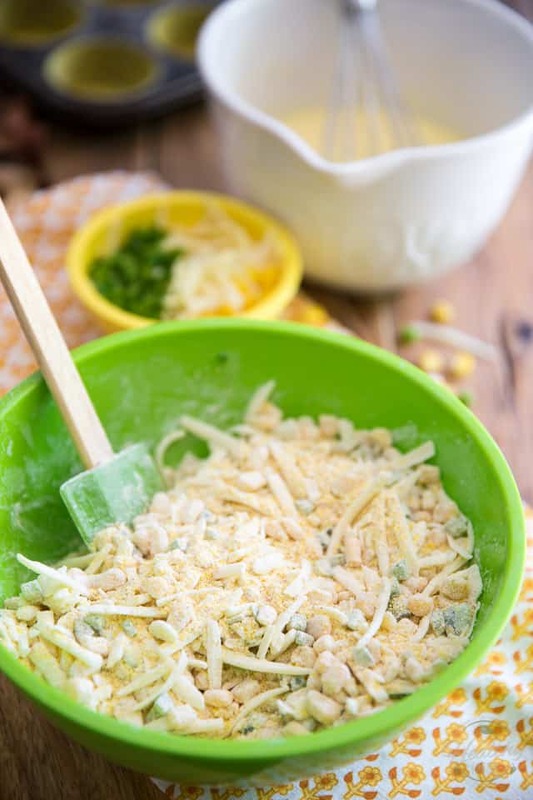 Stir delicately with a wooden spoon or rubber spatula until just combined. 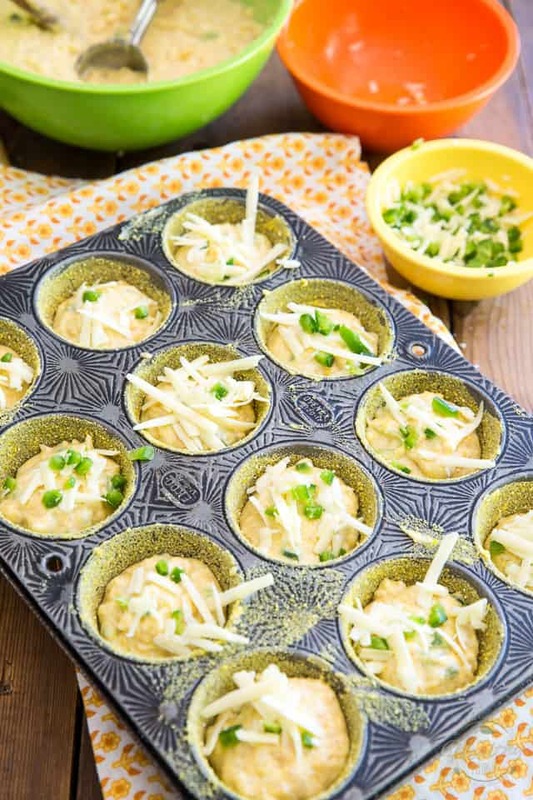 Divide the batter between 24 muffin cups and sprinkle each muffin with a pinch of the reserved chopped jalapeno and grated cheese. You could probably get away with dividing that batter between 18 muffins instead, if you wanted slightly bigger muffins, but don’t go any bigger than that. Whatever you do, be sure not to fill the cups more than 3/4 of the way up if you want to avoid spillage and making a mess in your oven. Bake the muffins for 15 to 17 minutes or until their tops are nicely golden and a toothpick inserted in their center comes out clean. 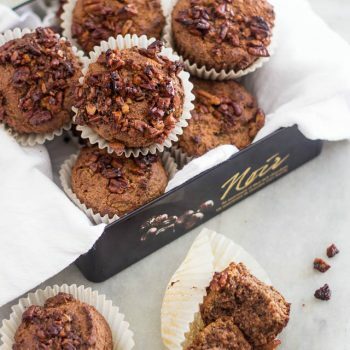 Allow the muffins to cool in the pan for about a minute then carefully lift them from the cups with the help of a thin spatula or butter knife. 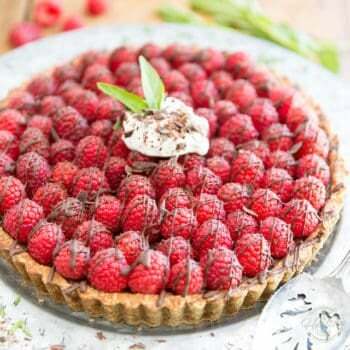 Serve warm, with a little bit of butter and a drizzle of honey, if you’re feeling a tad indulgent! 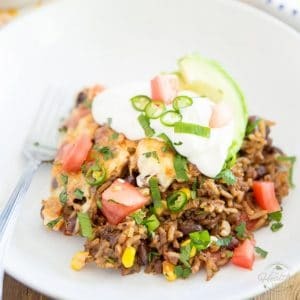 Keep any leftovers in the refrigerator, for up to a week. 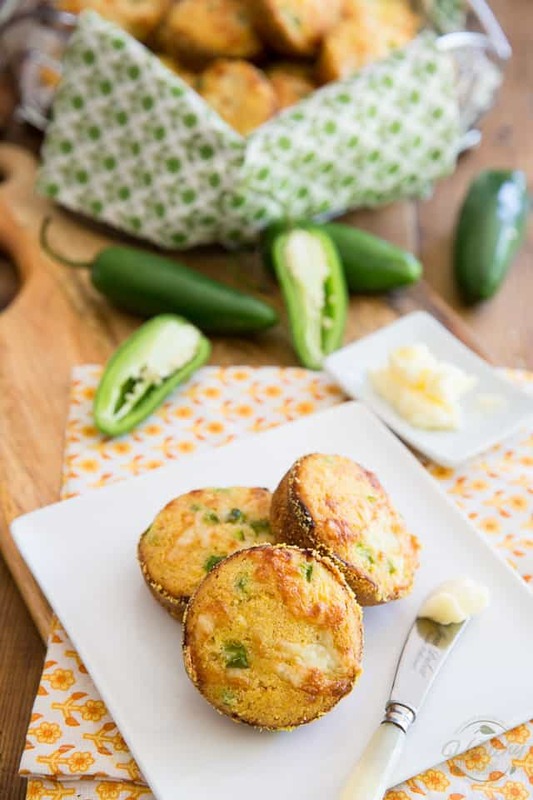 So tasty and delicious, moist and tender, you won't believe how good for you these Jalapeno Cheddar Cornmeal Muffins actually are! 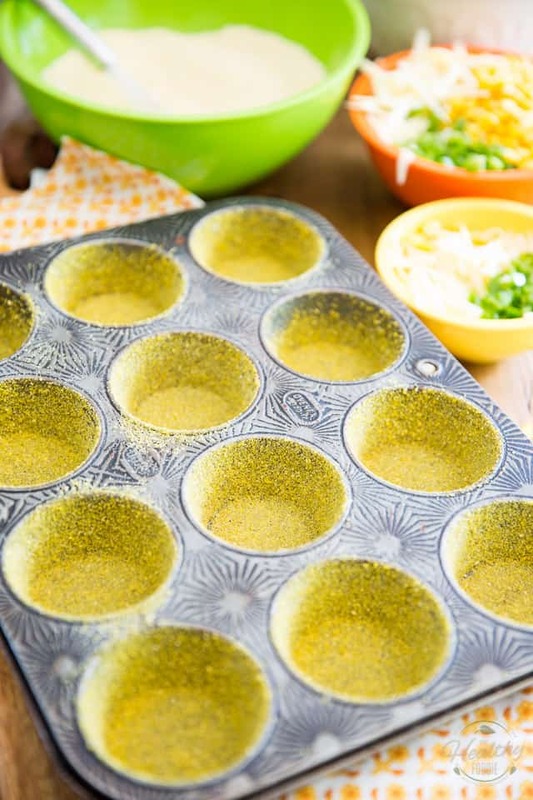 Preheat your oven to 425°F; grease and lightly coat 2- 12 cup muffin pans with corn meal. Set aside. 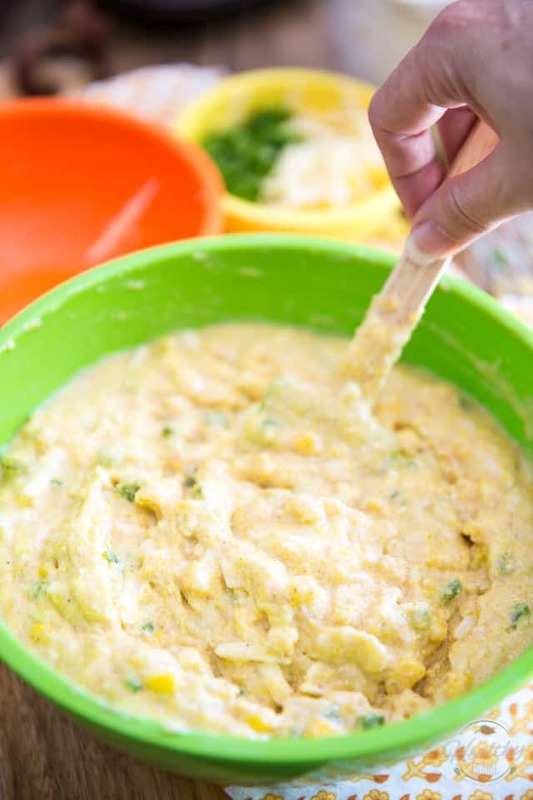 In a large mixing bowl, combine the cornmeal, flour, baking powder and salt; mix well with a whisk until fully combined. 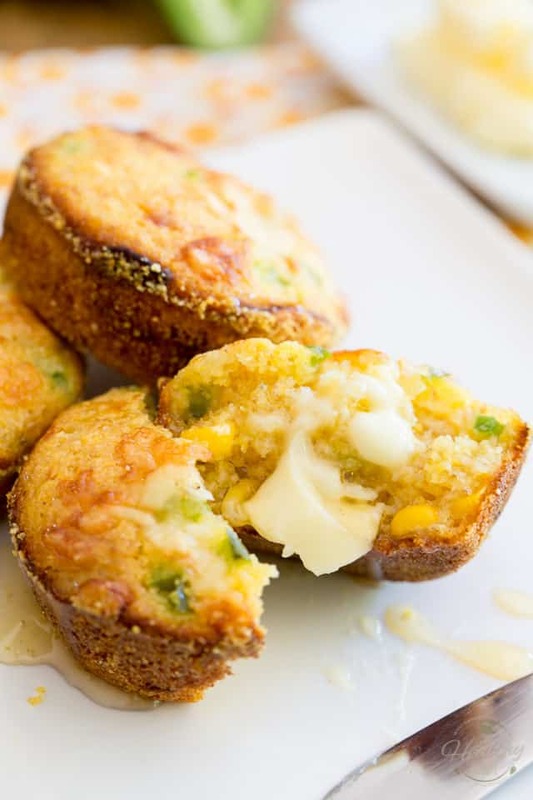 Add the grated cheese and chopped jalapeno (save a generous handful of each to garnish the top of your muffins) as well as the corn kernels to the flour mixture. Mix delicately until well coated. 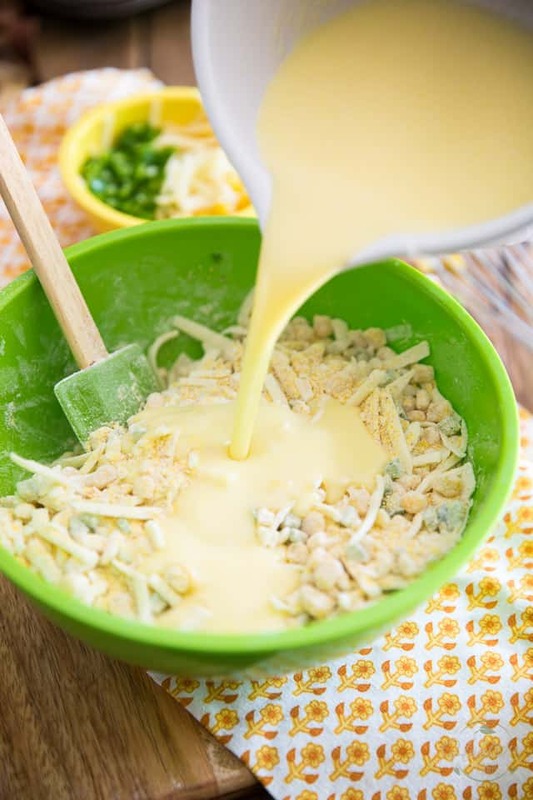 In a separate bowl, whisk together the buttermilk, melted ghee (or olive oil), honey, and eggs. 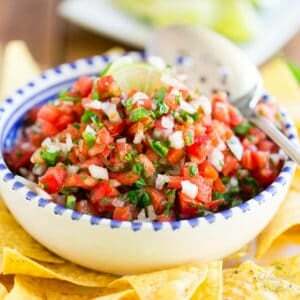 Pour over reserved dry ingredients and stir delicately with a spoon until just combined. 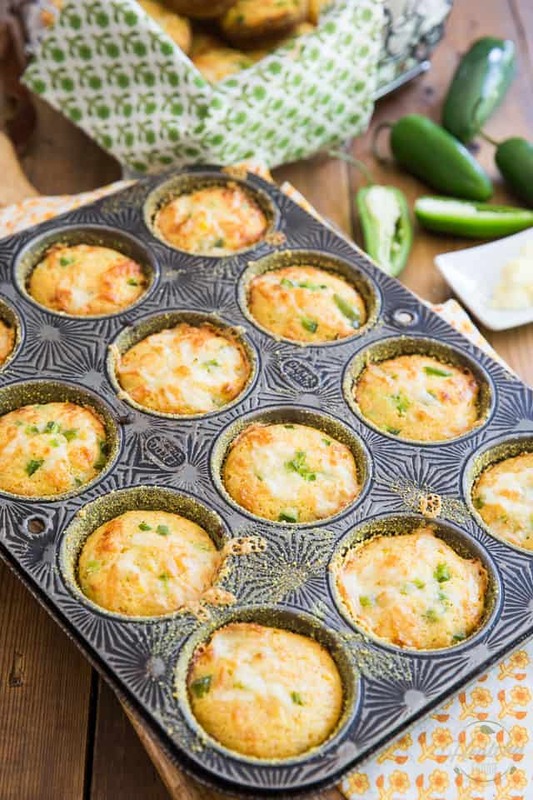 Divide between the 24 muffin cups and sprinkle each muffin with a pinch of the reserved chopped jalapeno and grated cheese. Bake for 15 to 17 minutes or until the top of the muffins is nicely golden and a toothpick inserted in the center comes out clean. Allow to cool in the pan for about a minute then carefully lift the muffins from the cups with the help of a thin spatula or butter knife. 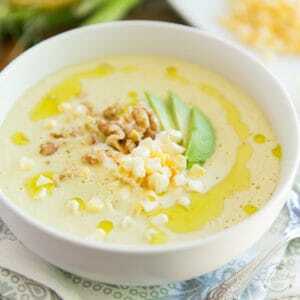 Serve warm, with a little bit of butter and a drizzle of honey, if desired. Don’t think I’ve tried making muffins that weren’t sweet before.. Curious to see how this will turn out – which is looking like it’ll be delicious! 15 minutes and they were so dry. Quite embarrassing, as I took it to a big event to go with chili. 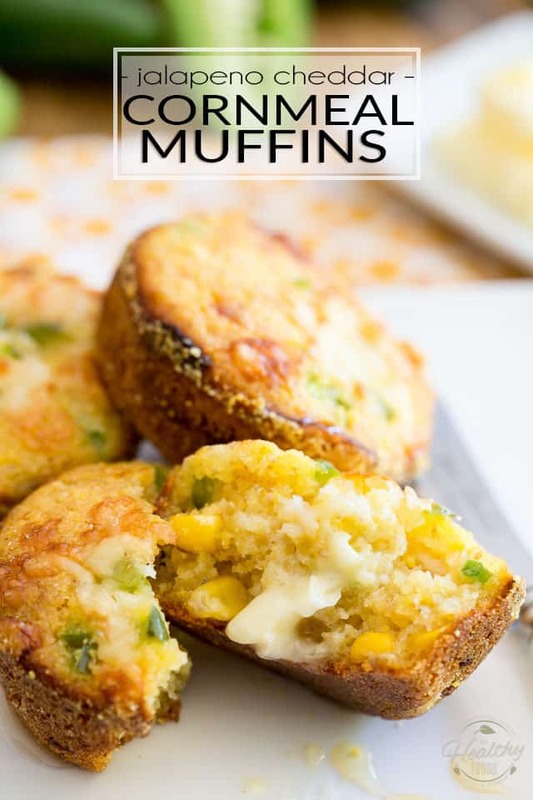 I’m real sorry to hear, Diane, but quite frankly, with all the corn kernels, jalapeno peppers and grated cheese that goes into these muffins, I fail to understand how it’s even possible that they came out dry?